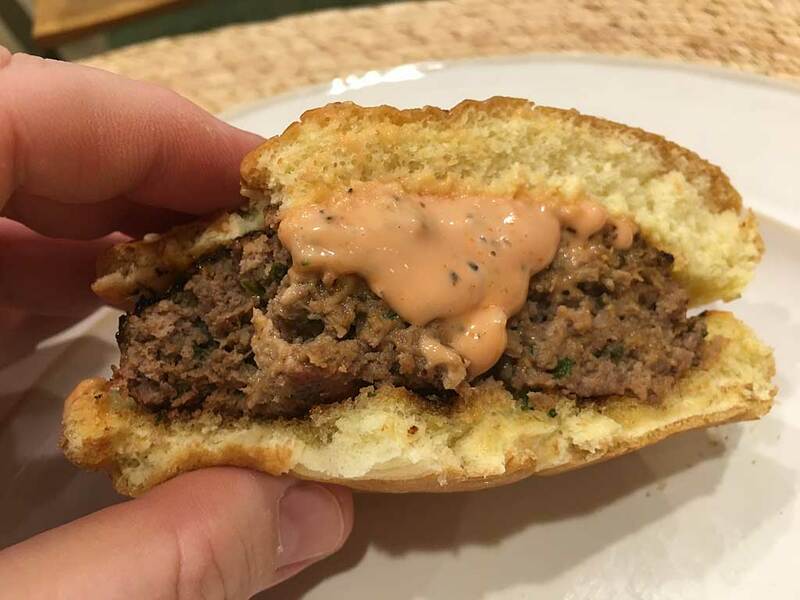 I recently made meatloaf burgers using a recipe from Cook’s Country magazine. In the Cook’s recipe, you make a meatloaf mixture using typical ingredients, then form into patties and sear in a non-stick skillet on the stove top over medium-high heat for 3 minutes per side. 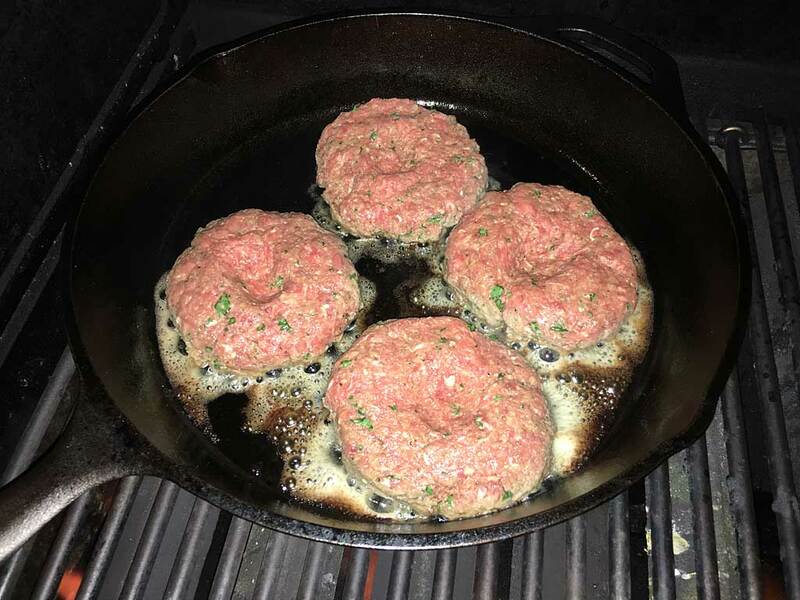 Once you’ve got a crusty exterior on the patties, they move to a wire rack over a rimmed baking sheet pan in a 350°F oven and cook for another 15-20 minutes until 160°F internal temperature. 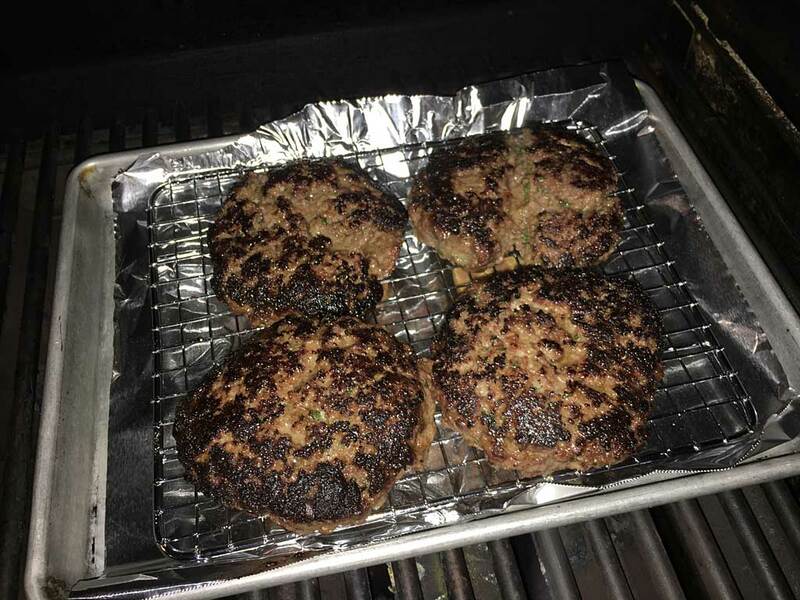 I adapted this recipe to the Weber gas grill by searing the patties in a cast iron skillet over medium heat on the grill, then moved them to a wire rack over a rimmed baking sheet pan on the grill and continued cooking until reaching 160°F internal temperature. Why the wire rack and sheet pan treatment on the grill? Why not just finish them on the cooking grate? Because these tender burgers can’t handle a lot of handling. Too much flipping on the grate and they may fall apart. The rack and pan allows for even cooking without the need for flipping. 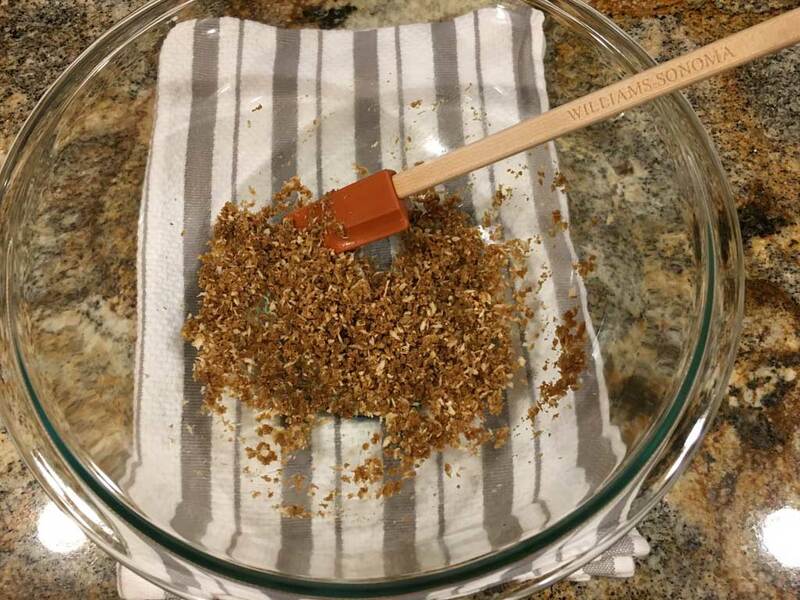 In a large bowl, mix the panko and Worcestershire sauce until the panko is moistened. Add ketchup, parsley, egg, mustard, onion powder, salt, and pepper and mix well. 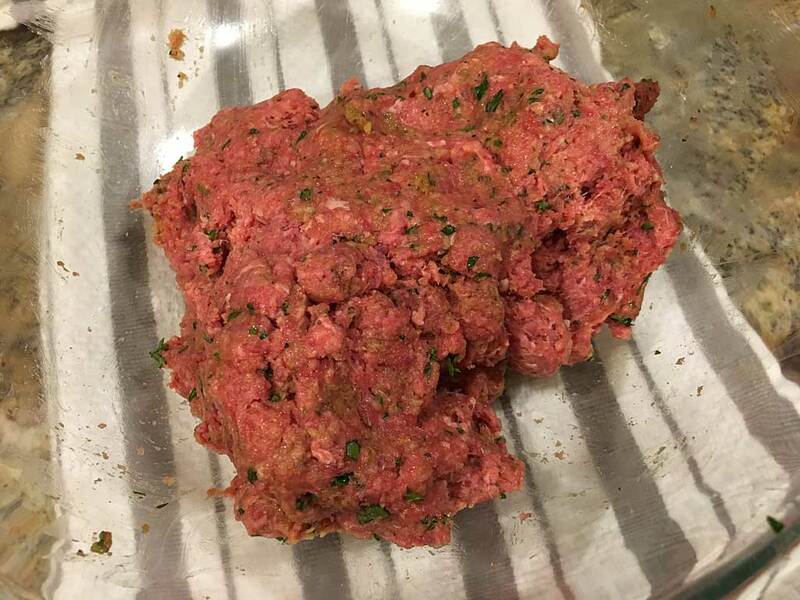 Add ground beef and mix with your hands until well combined into what is essentially a meatloaf mixture. 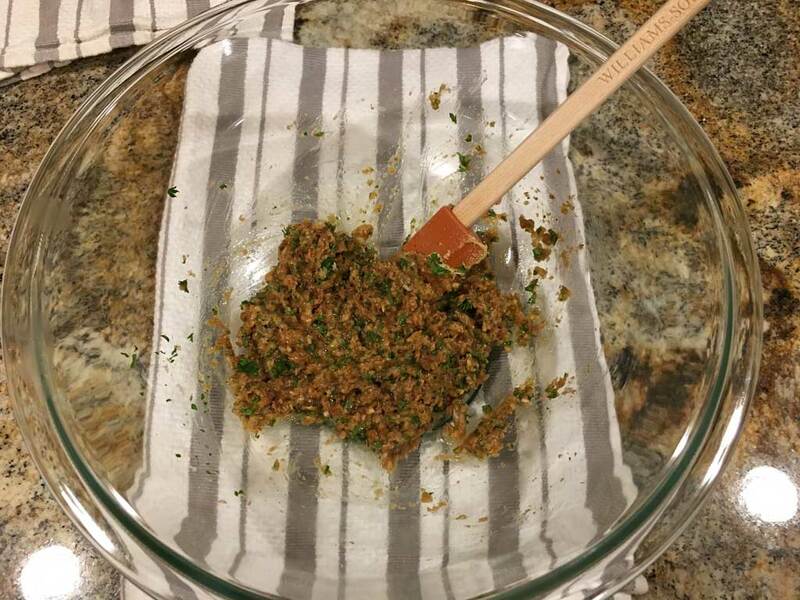 Divide the mixture equally into 4 balls and form into patties approximately 3/4″ thick. Press a dimple into the center of each patty to minimize doming during cooking. 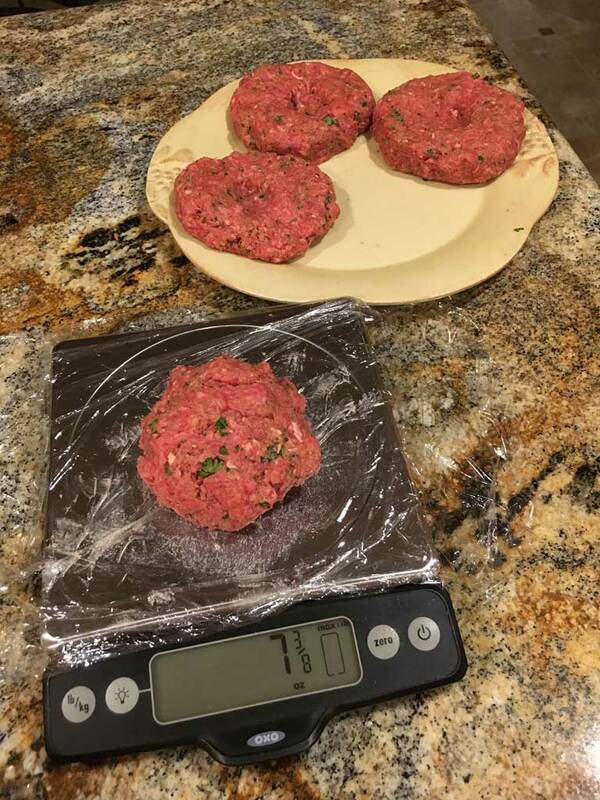 Cover and refrigerate patties until ready to cook. 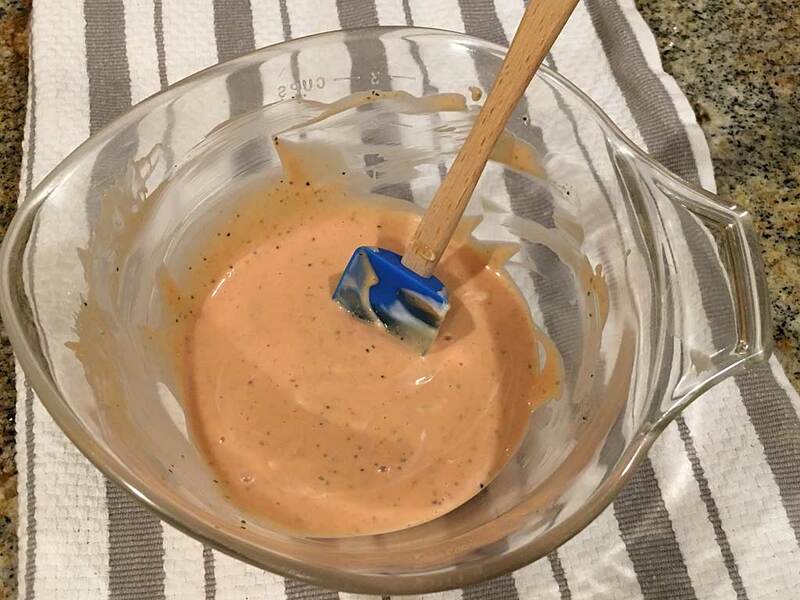 To make the burger sauce, combine the ketchup, mayonnaise, vinegar and black pepper in a bowl and mix thoroughly. Line the rimmed 1/4 baking sheet pan with aluminum foil for easy cleanup and top it with the wire rack. Place a 12″ cast iron skillet on one side of the grill grate and the sheet pan with rack on the other side. Add 1 Tablespoon of vegetable oil to the cold skillet. Preheat the gas grill with all burners on MEDIUM for 10 minutes or until the oil is shimmering and you start to see wisps of smoke. Brush the oil to evenly coat the bottom of the skillet. 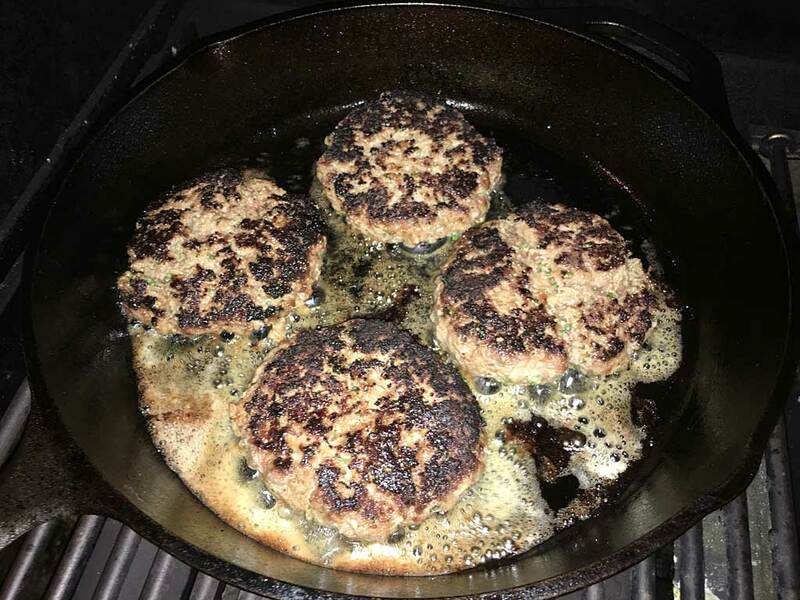 Place the patties in the hot skillet and cook for 3 minutes per side to achieve a dark surface crust. 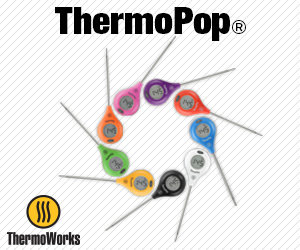 Transfer the burgers to the wire rack and continue cooking until they reach an internal temp of 160°F measured with an instant-read thermometer. 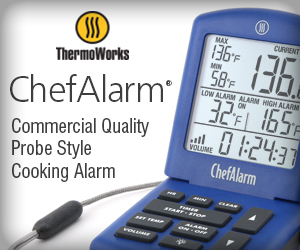 There’s no need to turn the burgers on the wire rack during the remainder of the cooking process. 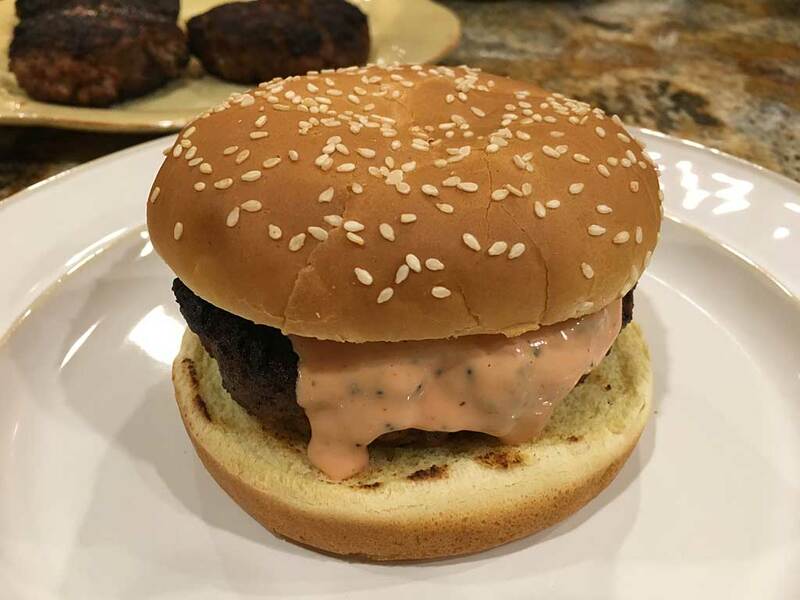 Serve the burger plain on a toasted hamburger bun and top with the burger sauce—that’s how Cook’s recommends they be served in their article. I enjoyed my burger that way, but I liked it even more the next day by adding a slice of cheese and using ketchup and mustard instead of the burger sauce.